The problem with plastic pallets is their ability (or rather, inability) to be fireproof without sacrificing the durability of the pallet. The process and material needed to create fire retardant pallets often makes them more brittle, causing their life cycle to shorten. In many ways, this defeats the purpose of a plastic pallet; if a wood pallet can compete in longevity and sustainability, they also compete financially, with wood pallets being a fraction of the cost of a plastic pallet. 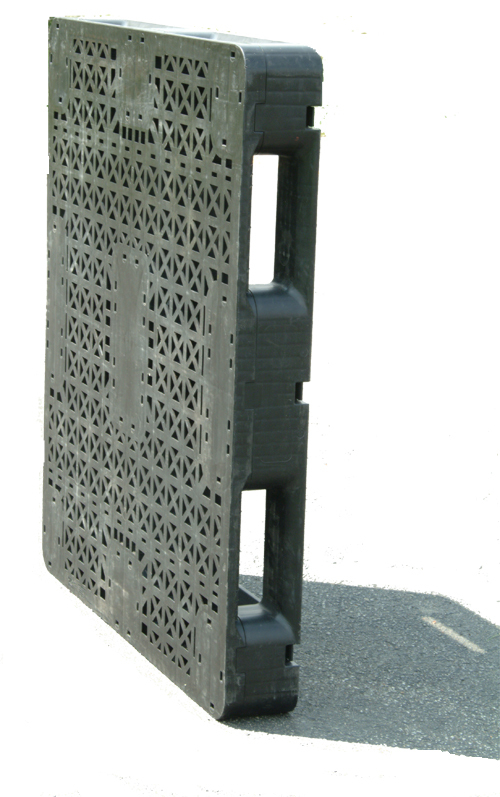 However, testing at Virginia Tech University's Center for Packaging and Unit Load Design has completed on Rehrig Pacific's new plastic pallets, and the results look good. Pallets with their new design have been put through a series of exhaustive tests (not unlike what we do here at our own packaging lab) and are getting quite the buzz as a result. The pallets survived as many as 200 cycles through a simulation of real world warehousing and supply chain conditions that mimic the life cycle of a pallet. This exceeds other offerings of plastic pallets on the market, and is a newsworthy accomplishment for those of us looking to the future of packaging. If you are interested in learning about what type of pallet would be best for your application, contact us or read more here!